I haven't really been doing much apart from working on the model for the Crankahead competition. 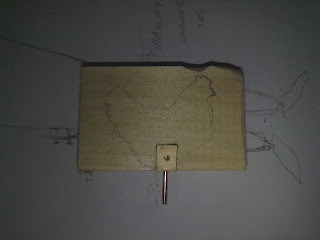 The model is coming along nicely and the mechanism within the figure is set. I just need to work on everything else now. I have a prototype stage in which I can start adding things to check how everything works. The email I received states that over 30 people have entered the competition so I think it's going to be quite interesting to see what comes out of it. Professional automata makers are also entering so I don't think I'll win, but it'll be nice to have a model placed next to theirs (so to speak). 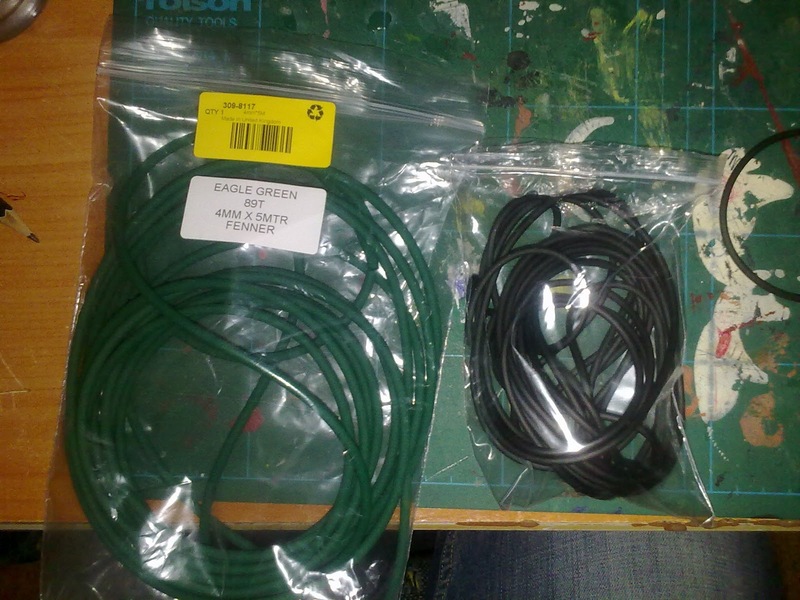 I received the material for the pulley belts. I was initially concerned about the black rubber and how it would hold together if I superglued the ends but the bond is really strong with regular superglue. I put considerable pressure on it trying to pull it apart and it would not break. I wonder how much grip it has though. The green belt has a rough surface which would give it more grip but superglue would not work. From a facebook group in which Keith Newstead talks about it, he says it is melted, so I would need to try and use a heat source. I will try this when I get back to my workshop. Not a lot else happening. 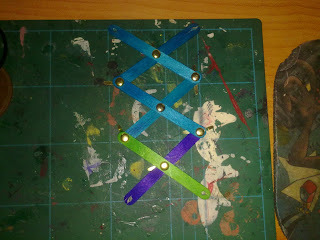 I have been experimenting with a scissor lift set-up, just using Popsicle sticks for the moment. 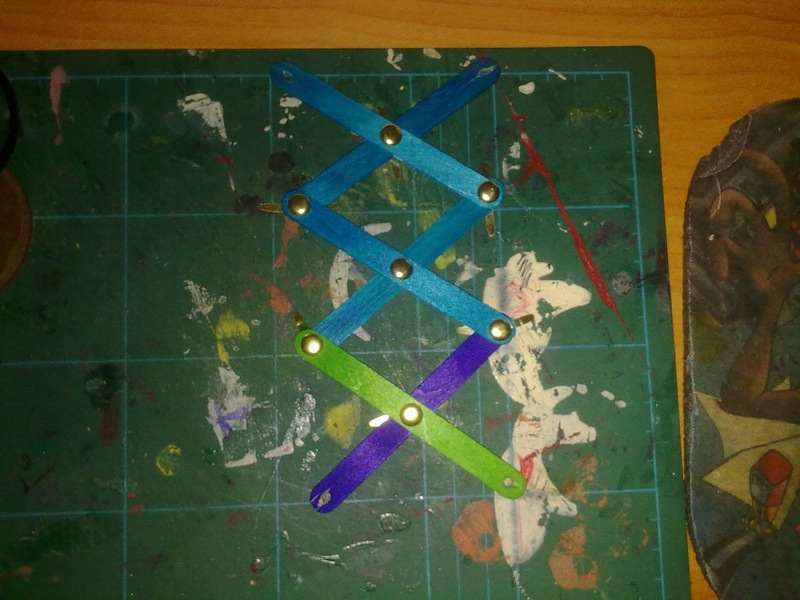 It works well but I need to think about how to transmit the movement to it. There is also not a lot happening with my tin can model. 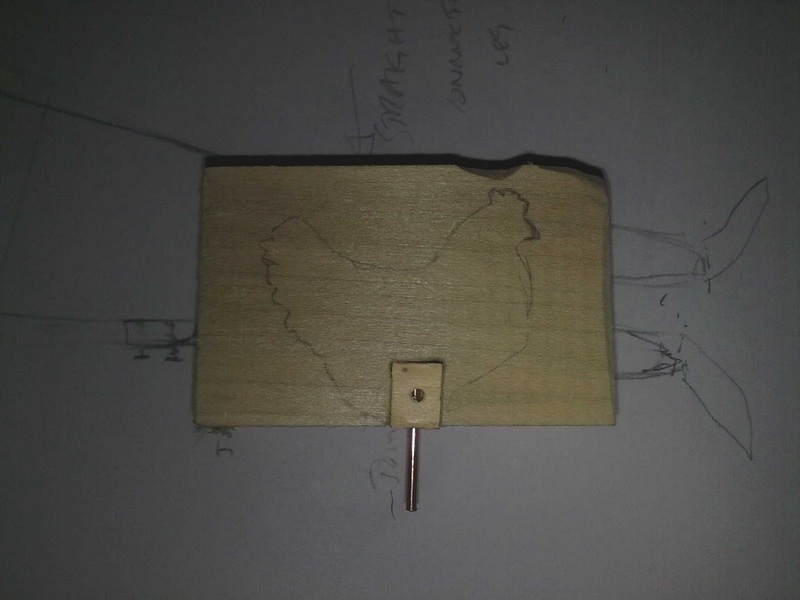 I got as far as cutting out a chicken but no further in working out the movement. On a happy note, I sold my pumpkin headed automata on eBay. It sold for £22 which is double what I thought it would go for so I am pleased with that. I hope the person who bought it is happy with it and that it arrives safely.